Cherry laurel ‘Otto Luyken’ or prunus laurocerasus ‘Otto Luyken’ is a popular low and slow growing variety of cherry laurel with glossy dark green, narrow-shaped leaves. With an ultimate height of 1.2m and an annual growth rate of 10-20cm, ‘Otto Luyken’ makes small low-maintenance (border) hedges, but it is also perfect as a ground cover. Cherry laurel ‘Otto Luyken’ is of compact habit and produces racemes of bee-attracting white flowers in spring, often followed by a second flowering period in autumn. Once the second flowering has finished, red berries will make their appearance. These fruits, which gradually mature to black, are a valuable source of food for birds. Please note that both berries and leaves are poisonous to humans. 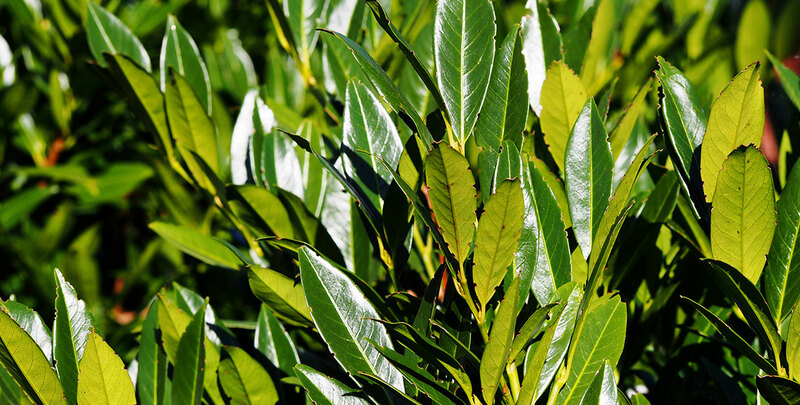 Cherry laurel ‘Otto Luyken’ will thrive in a wide variety of soils (clay, sand, loam, moist or dry) and positions (full sun, deep shade, polluted sites, coastal positions), although waterlogged sites should be avoided. One clipping a year, ideally in late September/early October, is more than enough to keep this evergreen in shape. This variety of cherry laurel is named after the German plant breeder Otto Luyken, who was specialised in cherry laurels. The Hesse Tree Nurseries, of which he was the director, was very interested in developing a cultivar that had the qualities that make the cherry laurel such a beloved hedge plant – its evergreen nature and its relatively informal look – but with a slower growth habit that would also allow people with smaller gardens to have a cherry laurel hedge as well. 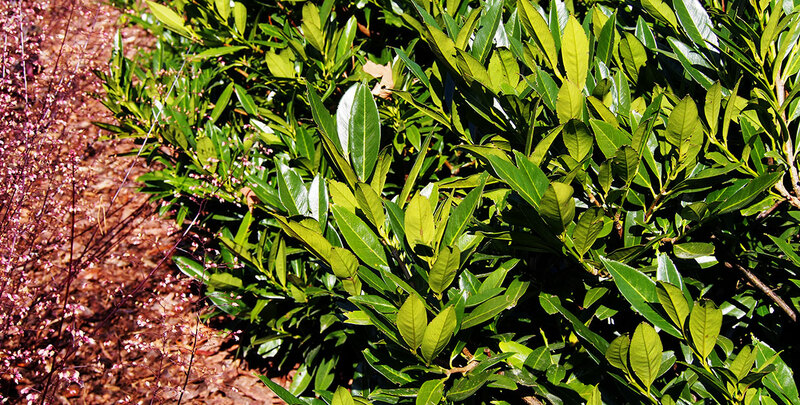 As an additional advantage, cherry laurel ‘Otto Luyken’ does not need to be pruned quite as often as most other cherry laurel varieties, such as the highly sought-after ‘Rotundifolia’, as its slower growth speed significantly decreases the risk of your cherry laurel ‘Otto Luyken’ hedge becoming overgrown. Do you want to decorate your garden with the beautiful, shiny leaves of the cherry laurel, but are you afraid that the fast-growing varieties will keep too much sunlight out of your garden? In that case, the cherry laurel ‘Otto Luyken’ is an excellent choice, not unlike the cherry laurel ‘Herbergii’ or especially the extremely hardy cherry laurel ‘Zabeliana’. The ‘Otto Luyken’ makes beautiful low border hedges and does not grow quite as wide as the larger, faster-growing varieties of cherry laurel. You can enjoy the sheen of its beautiful leaves throughout the year, while the flowers and berries add some seasonal interest to this beautiful evergreen hedging plant.